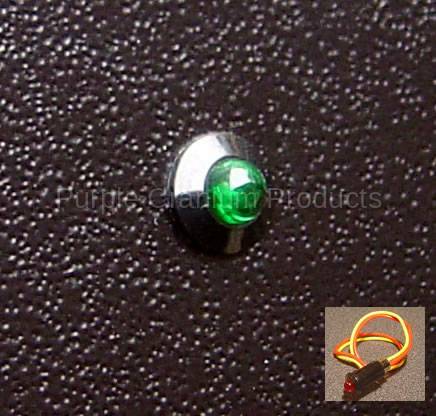 GREEN - Mini LED Indicator Light-Small. Dash or panel mounted, hook up in line with switch or any 12V component. 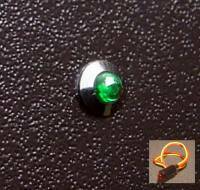 Mount in 5/16" drilled hole, includes 6" of lead wire.